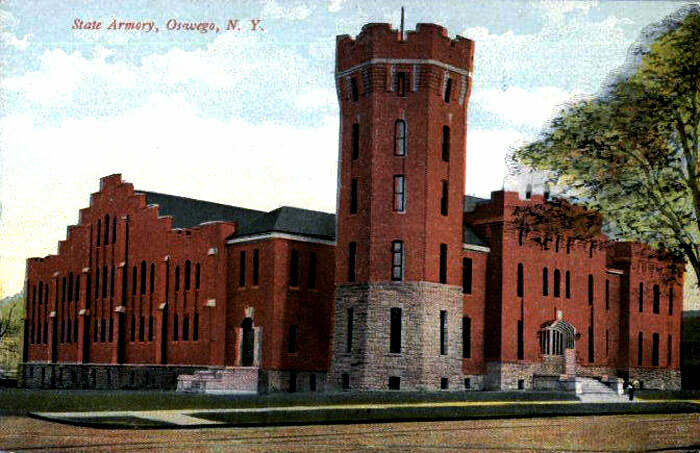 The Oswego Armory is an historic National Guard armory located at Oswego, New York. It is a brick and stone castle-like structure built during the years from 1906 to 1908. It was designed by architect George L. Heins. 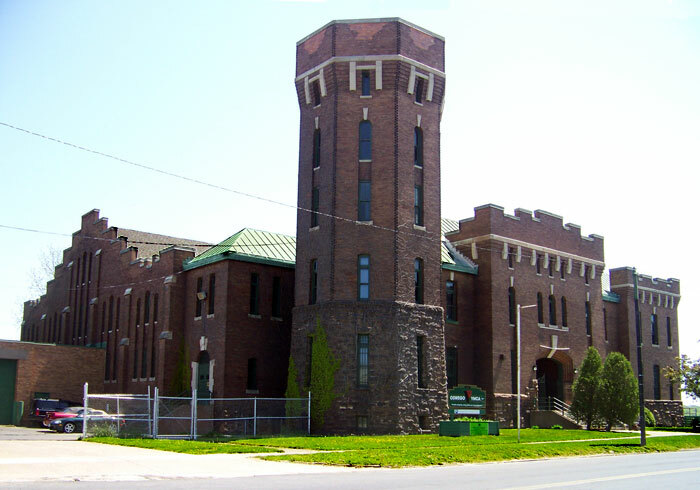 The Armory consists of a 2½-story administration building and features a 5-story octagonal tower at the northwest corner. The Armory was listed on the National Register of Historic Places in 1988. The Armory closed in 2004, and the City of Oswego sold the building to the Oswego YMCA which now utilizes the space for children’s activities and programs. love this site beautiful pictures of the buildings from years ago but when they were in nice shape.